Zonitoides nitidus (Black Gloss Snail) is a terrestrial land snail. This snail was discovered by Müller in 1774, and since then more information has been presented on this fascinating snail. While you explore my website you will learn a variety of information regarding Zonitoides nitidus, the black gloss snail. There are links at the left of the webpage as well as links within each webpage that will help you navigate the website easily. If you have any questions, comments, or concerns, please feel free to email me. My contact information is located on my About Me page. To start learning about Zonitoides nitidus, the black gloss snail, you can begin with the Classification of this species. To learn more about other land snails you can visit the website Multiple Organisms. 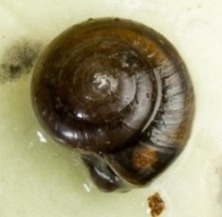 To learn more about other Wiconsin land snails, you can visit the website Wisconsin Land Snails.